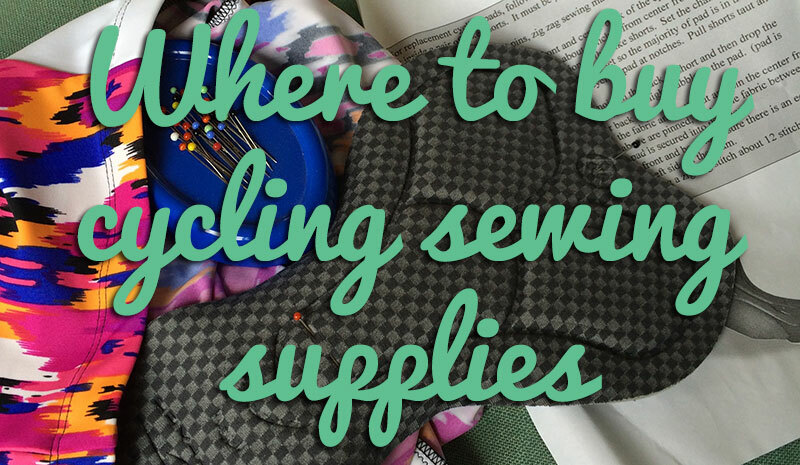 Pop quiz – What’s better than an entire Saturday set aside for sewing? Give up? It’s an entire Saturday set aside for sewing with a friend! 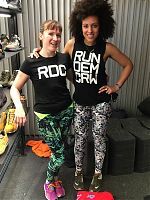 Yes, a few weeks ago my friend Sanchia (whom you may recall as my Threshold Shorts pattern athlete model) was all “we need to set a sewing date and make some leggings!” so we found a Saturday we both had free, and she came round to the boat last weekend! Sanchia has sewn before, but hasn’t made leggings in a while, so she selected some fabric out of my (frankly, overflowing with fabulousness) lycra stash, and we used my Steeplechase Leggings pattern to sew her up a pair without any inner leg seaming. Tablets are perfect partners for Pdf pattern instructions! 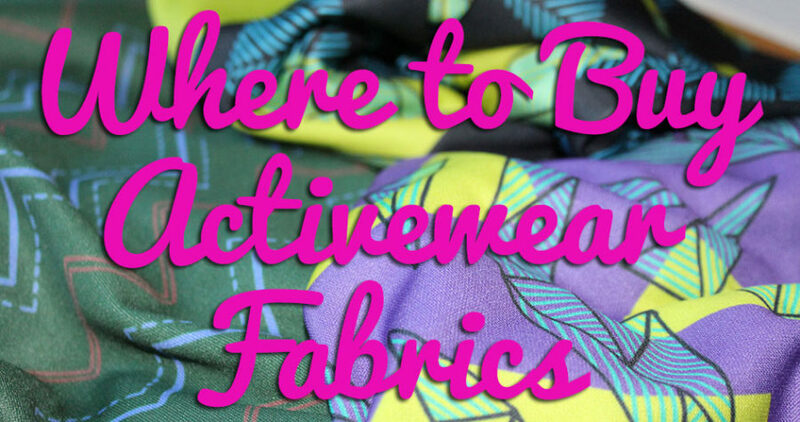 And since we were going to be sewing all afternoon, well, I might as well make a pair for myself, too! Since Sanchia chose my FunkiFabrics “Prism” lycra (I had the Flexcite base but it’s also available on their wicking Titan base fabric, I wanted to choose something dark so we wouldn’t need to change threads, so I used some fabulous cityscape lycra that had literally just arrived from Sewing Chest the day before (they have got some great sales on their sportswear fabric pieces right now, just sayin’!). We had a good chat cutting out the fabric, and then pinning each step together and constructing them assembly-line style, plus a break for lunch, and then she got to play on my coverstitch machine for the hems and waistband finishing, too. By the time 4pm rolled around, we had two finished pairs of leggings! 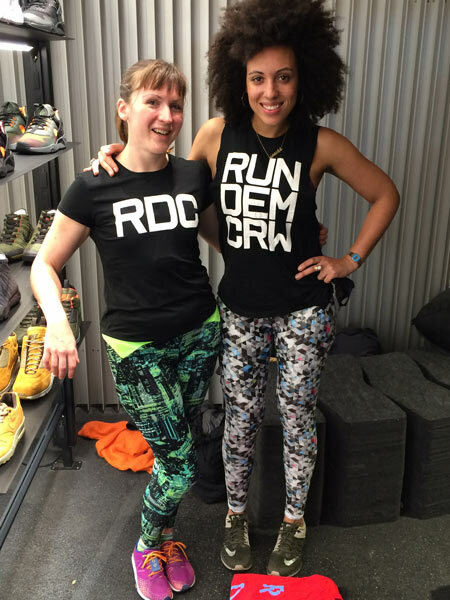 We vowed to wear our new leggings to Run dem Crew on Tuesday, where we got another friend to snap some photos of us! I just can’t stop giggling at the second one – it’s priceless!! 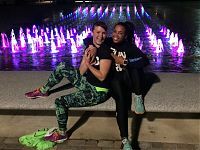 I’m doing two months of exclusively slow heart rate training at the moment (more on that here), so it’s been fun catching up with friends coming back from injury, meeting new members, and generally chatting my way around London for the past few Tuesdays. 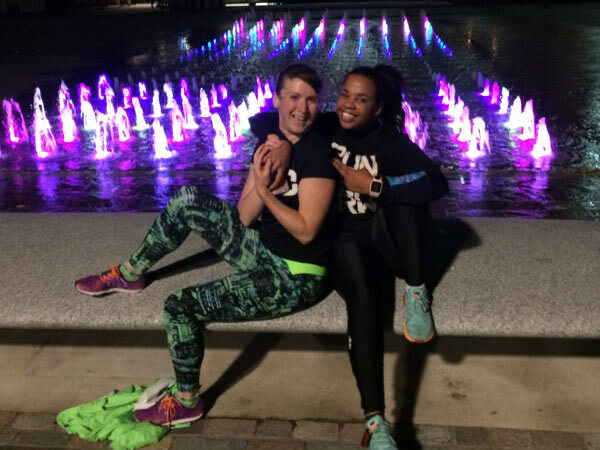 Last week we ran up to Granary Square, and it was just myself and Binta (one of my Kimono Sweat athlete models) putting the world to rights while we ran at “party pace”. 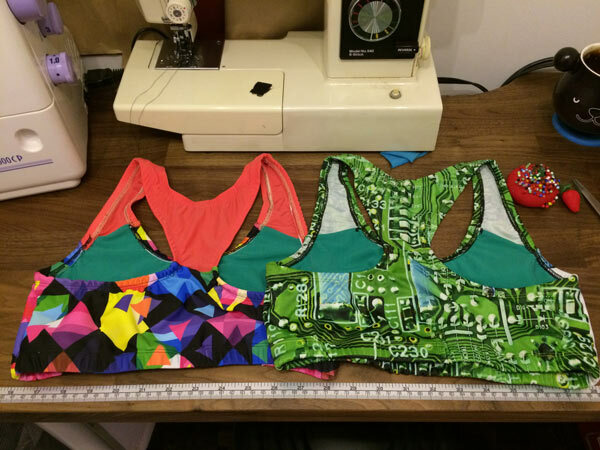 While we’re on the subject of lycra, I also wanted to show you two sports bras I finished off recently after staring at the cut out pieces on my sewing room’s “washing line” for the better part of a year. 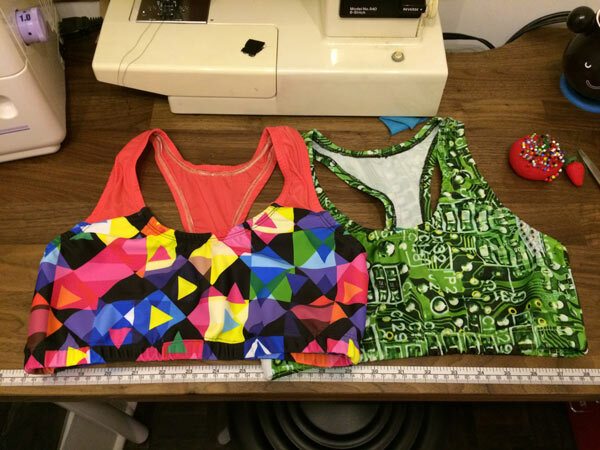 I cut these out from the scraps of my London marathon Steeplechase shorts and my Cambridge half marathon Steeplechase leggings back in April and March, and only got around to cutting out the mesh lining and finishing them up this week! I’ve talked about my TNT sports bra solution many times, but the short version is that it’s Jalie 2563 with a lowered front neckline and two layers of power mesh lining. They’re fairly easy to crank out (the elastic edging takes the most time), and I’ve been buying different colours of power mesh from Tia Knight every time I need to restock, so the insides are just as fun, too. 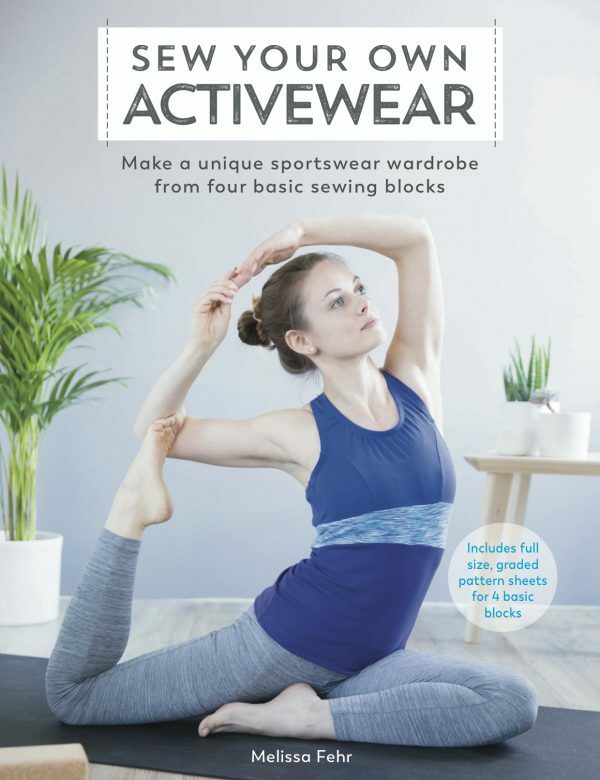 The double layers of power mesh in opposing directions provides bounce-free support for my B-cups and I even ran London marathon in one of my own-sewn bras earlier this year. 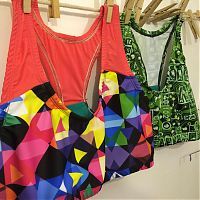 My activewear drawer is pretty bulging at the minute, but sports bras were something I needed to restock on ahead of marathon season (I start London marathon 2016 training in December), and now I’ve got two new lovelies to support me on all those cold, dark, early morning miles! 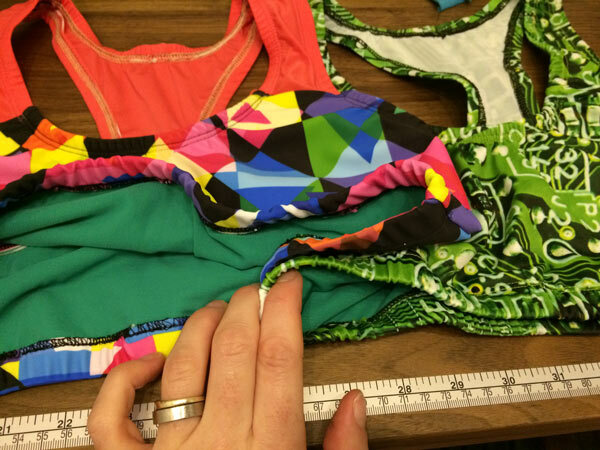 Separator image Posted in Gallery and tagged with exercise, fehr-trade-patterns, jalie, lingerie, steeplechase-leggings.